SDR news for enthusiasts and followers. 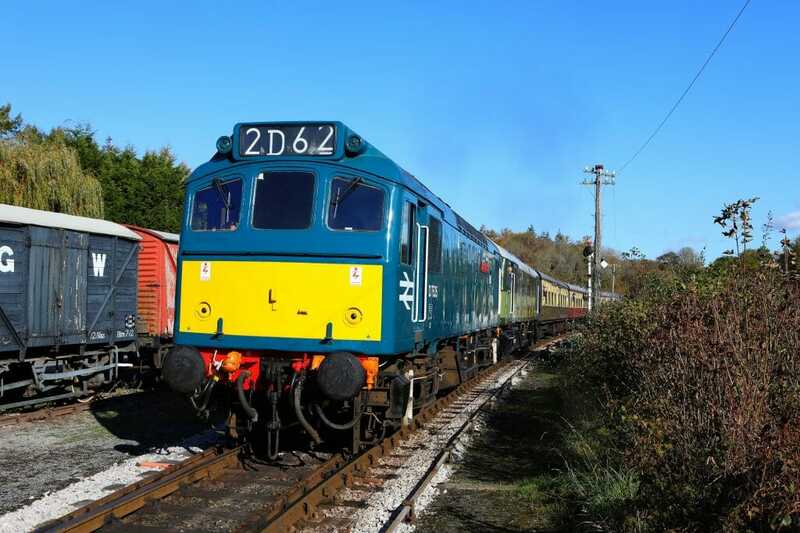 We are pleased to offer an exclusive opportunity to take to the controls of our new resident Class 25, D7535. This will be the first chance you will get to drive this particular locomotive on the SDR, under the watchful eye of our experienced loco crews. Your journey will begin at Buckfastleigh hauling a typical British Railway Goods train for a return trip to Staverton. During your experience you will be able to observe the passing of trains at Bishop Bridge Loop from a vantage point only available to a few. You will also get the chance to carry out small shunting activities and learn how to uncouple/couple the locomotive to your train. Furthermore your ticket entitles you to all day travel on our other services that day. These are available on Wednesday 10th and Thursday 11th April departing at 12:45 & 15:00 and the cost is £100. • Participants must be over the age of 18, and be fit and healthy and able to climb from ground level. • We advise all participants to wear old clothing that covers arms and legs & stout shoes. • DO NOT report for the course under the influence of Drugs or Alcohol. The host will refuse your participation if they believe this to be the case. 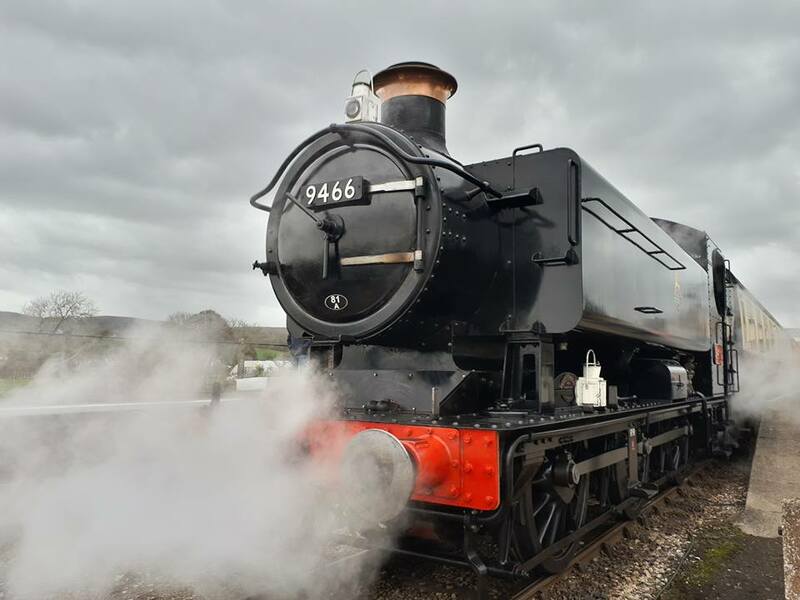 The South Devon Railway is pleased to announce that GWR designed 0-6-0 Pannier Tank 9466 is to visit for the attractions 50th anniversary celebrations between the 6th and 14th April 2019. The locomotive is appearing courtesy of Gwyneth Maude, the sister of the late Dennis Howells MBE who sadly passed away in August 2018. The locomotive, which appears in British Railways Black livery, will look at home in the Great Western Railway setting and will be paired with traditional carriages and wagons of a similar era. Nick Crook, of 9466 Locomotive Group, said “we are really looking forward to visiting the South Devon Railway and taking part in their 50th celebrations”. Although 9466 has travelled between Totnes and Buckfastleigh in September 2010, It is thought that this is the first time it, or indeed any member of the 94xx class, has hauled trains along the branch. 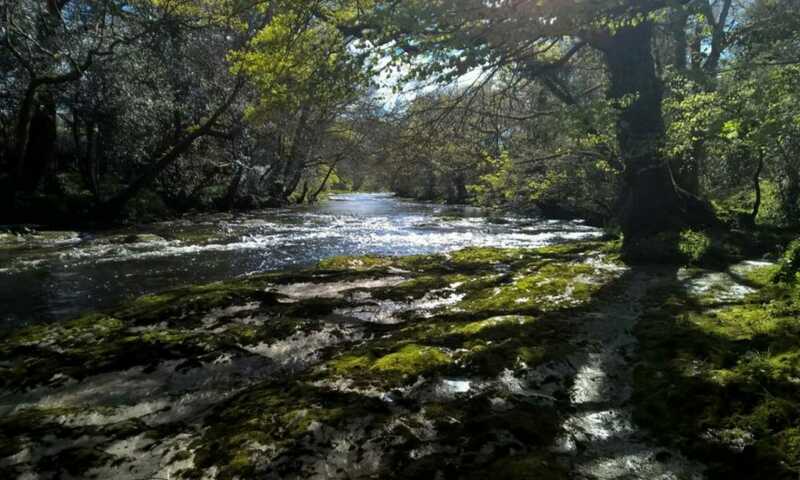 The South Devon Railway will be celebrating 50 years of the preserved line, which runs between Buckfastleigh and Totnes in the Dart Valley, by holding a Golden Anniversary celebration between the 6th and 14th April. Other visiting locomotives confirmed for the event are Auto Tank 1450 and Pannier Tank 6430, which were previously based on the Devon line. We are delighted to announce that there will be overnight running on Saturday 6 into Sunday 7 April 2019 as part of the Golden Anniversary Steam Gala! Steam will operate between Buckfastleigh at Totnes continuously from 10am on Saturday until 6pm on Sunday. As part of this there will be some good opportunities for night-time photography on the line (from public areas) and also on the shed, where, in the evening, supervised groups of photographers will be able to take photos of the engines from within the yard and running shed area. More details of this will be announced later. Food will be available overnight to keep everyone’s energy up, and ticket options to allow visitors from either the day before or the day after to take part in the overnight trains are detailed below. Saturday (6 April) rover tickets are valid until 7pm on Saturday 6 April. Sunday (7 April) rover tickets are valid from 7am Sunday 7 April. 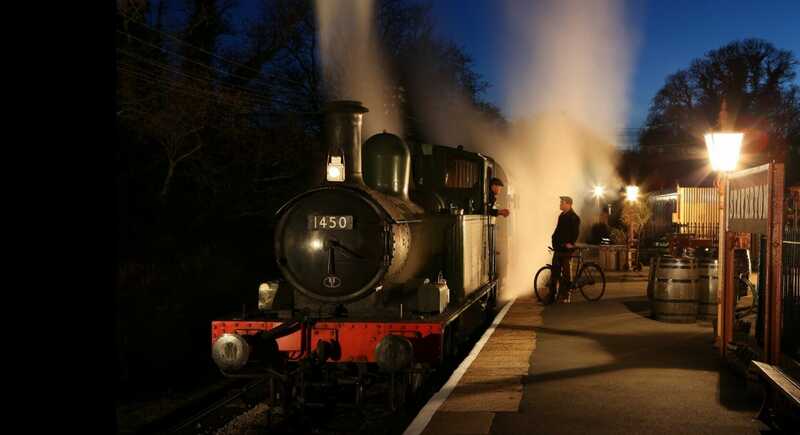 Passengers wishing to ONLY travel on the overnight trains, from 7pm Saturday 6 April to 8am Sunday 7 April, may purchase an ‘overnight only’ ticket for £15. We are delighted to announce that GWR Collett 0-4-2T no 1450 will be visiting the SDR in April 2019 as part of our 50th Anniversary celebrations! Originally numbered 4850, the loco was built in 1935 to lot number 288 and first entered service at Oxford in July 1935. She was re-numbered 1450 by the GWR in 1946 and re-allocated to Slough in April 1951. 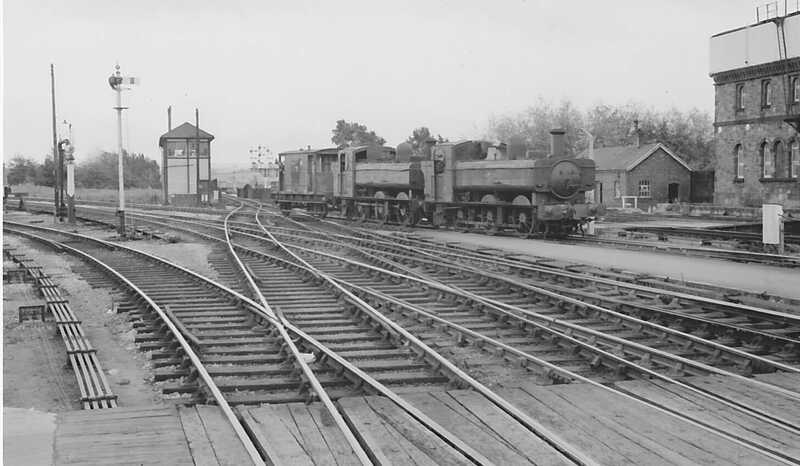 A return to Oxford in September 1959 was followed by further re-allocations to Exeter (July 1962), Taunton (November 1963) and Yeovil Town (October 1964) before a final move to Exmouth Junction in February 1965. 1450 was finally withdrawn from service by BR in May 1965, after a working life totalling 823,012 miles. 1450 spent her early life in preservation at our line (the then Dart Valley Railway). She was eventually purchased from here and re-located to the Dean Forest Railway, and then the Severn Valley Railway in March 2014. Over the winter of 2017-18 the loco was returned to GWR livery, for the remainder of its current boiler ticket. 1450 is often paired with the same owner’s autocoaches, nos 178 and 238, which are also resident on the SVR. We are delighted to say that chocolate-and-cream liveried no 178 will be joining 1450 at the SDR for the duration of its visit, brining us a step closer to the ambition to operate a 4-coach auto train as part of the 2019 celebrations! 1450 will be joining 6430 from Llangollen, as well as the SDR home fleet. 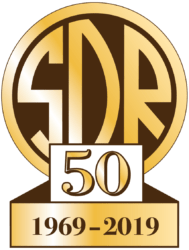 Keep your eyes glued to SDR news for further announcements in future! Thank you to everyone who has worked hard to arrange the attendance of 1450 to the SDR, including our friends at the Severn Valley, and we are all looking forward to seeing 1450, a loco with a lots of SDR heritage, at Buckfastleigh next year! Tomorrow’s beer festival evening trips will be steam-auto-operated instead of the booked DMU. That’s the 7.40, 9.05 and 10.20 from Buckfastleigh, and the 8.20, 9.40 and 10.50 from Totnes. The 6.45 from Buckfastleigh and 7.40 from Totnes will be DMU-worked instead of steam auto. We are pleased to announce that a full size replica Spitfire will be attending our ‘South Devon 1940s Festival’ on the 7 & 8 July! The Spitfire is modelled on EN398 which was the Personal Aircraft of British Flying Ace W/Cdr Johnny Johnson D.F.C. It has a complete original cockpit and a working WWII Rolls Royce engine which you will be able to hear start up at regular intervals throughout the event. Pre book your tickets for this event. We are delighted to announce, thanks to our friends at the Llangollen Railway, that 6430 is the first confirmed visiting locomotive for the Golden Anniversary Steam Gala, 6-14 April 2019! Above: 6412 hauls 6430 across Exeter West Junction on their way to the Dart Valley Railway in June 1966. 6430 was built at Swindon in 1937 and spent most of its working life in South Wales. It was withdrawn from its final shed, Yeovil, in October 1964 and sold to John Cashmore Ltd as scrap, but immediately re-sold to the Dart Valley Railway as a source of spares for 6412 and 6435. It was towed to Buckfastleigh by 6412 in June 1966. Throughout much of its time on the Dart Valley Railway, 6430 was out of sight, painted in red oxide primer, which turned progressively more pink with age and wear. Eventually, with no hope of her being restored, she was put up for sale. It was bought in 1990 and spent some time undergoing restoration at Long Marston MOD depot, along with 5199, before moving to Llangollen in 1996. The loco had unfortunately lost many parts to other engines. Repairs to its cracked cylinder blocks were tackled by the SVR during 1996, and new pannier tanks were fabricated and fitted at Llangollen. Manufacture of new axleboxes and re-wheeling took place in April 1998. New motion parts, coupling and connecting rods were cast and machined to size, whilst other parts were found elsewhere and purchased. A major problem was the badly corroded state of the boiler, which necessitated a completely new boiler barrel being made and fitted to the existing smokebox and firebox. 6430 first moved under its own steam came in December 2003. Work to finish of the locomotive continued, and it undertook a successful trial run along the whole length of the Llangollen Railway in February 2004. We all look forward to greeting 6430 next year!